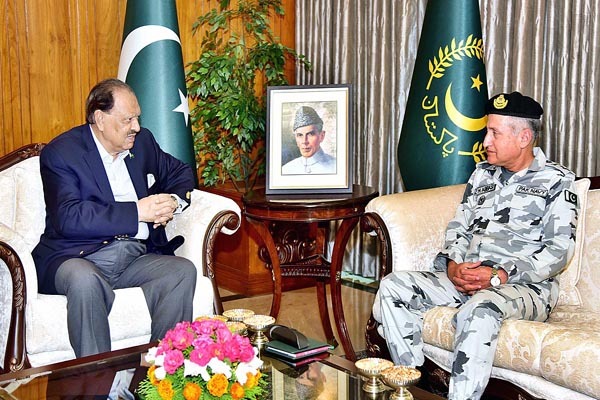 ISLAMABAD, Oct 9 (APP):Newly appointed Chief of Naval Staff Admiral Zafar Mahmood Abbasi called on President Mamnoon Hussain here at the Aiwan-e-Sadr on Monday. The President hoped that professional standards with regard to naval defence would reach new heights during his tenure. Admiral Zafar Mahmood Abbasi thanked the President for his appointment. He also briefed the President on the professional matters of Pakistan Navy.